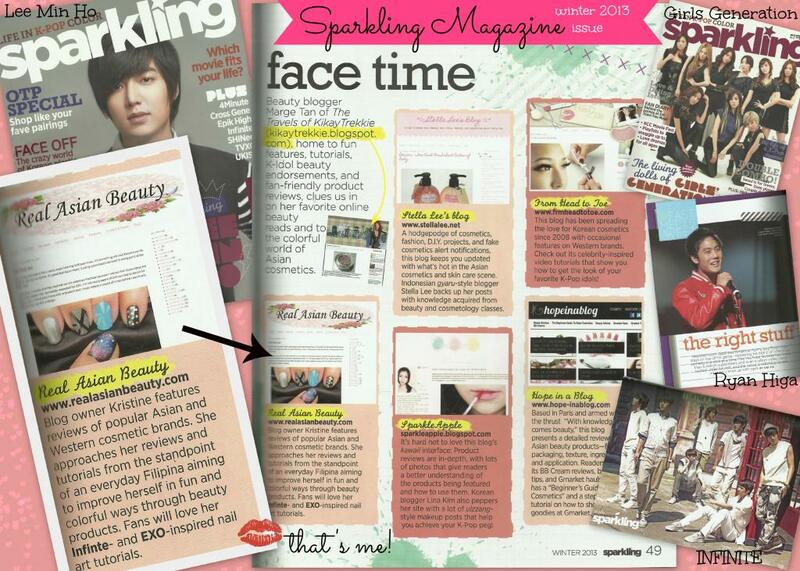 Real Asian Beauty: Featured in a Magazine, 100th YouTube Video plus Giveaway! Featured in a Magazine, 100th YouTube Video plus Giveaway! So here is my 100th video upload on YouTube!! With just a few more clicks, I will also hit 30,000 subscribers and 7,000,000 video views! Wow! Anywaaaay, this year I was also featured in a magazine. A very cute and tiny space in a local magazine! You can read more about the magazine feature here. To celebrate this small magazine exposure of mine, I am giving away a copy of the magazine to 1 lucky reader! *Simple comment on this post and tell me what you like watching or listening to Kpop music! And thank YOU for being with me always!